With a wealth of nature's goodness at my fingertips everyday, I am always looking for some new treat to concoct. 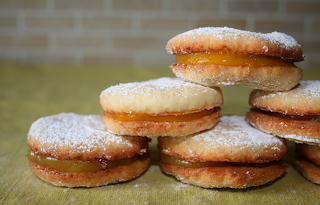 Last week it was Haupia Liliko‘i Pie (Hawaiian Coconut and Passion Fruit Pie) and yesterday it was Coconut Cookies with Passion-Fruit Curd. HEAVEN ON EARTH! All I can say is that there better be sugar and good food in the afterlife. I also made a second batch of the cookies but used lemon juice instead of liliko'i. You could use and juice in place of the liliko'i for either one of these recipes actually. 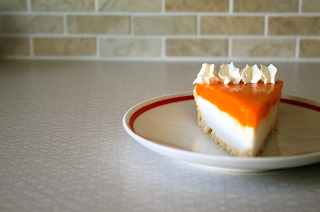 Curd has always been something I thought would be too time consuming or difficult, but both the pie and cookies were so quick and easy to make. Yummmm! Aloha Bakery! I only hope you are sharing them with friends and neighbors and not eating it all yourself. Thanks Everett. I can count on you to keep the Cuckoo For Coconuts team waistlines in check.